Please see the following press release on our exciting new venture with Gulfport CrossFit to bring olympic weightlifting and youth weightlifting to the Mississippi Gulf Coast area. Gulfport CrossFit has been a pioneer in our Gulfport fitness community for 5 years. We continuously strive to bring expert coaching and diverse sports programming to the Gulfport community. In addition to being Gulfport’s first CrossFit gym, we hosted the first and only USA Weightlifting meets on the Mississippi gulf coast with Mississippi Barbell. (2) GPX Kid’s Fit, a fitness and sports performance program designed for ages 6 and up. Mississippi Barbell was the first USAW club in Mississippi and remains the largest in the state. Like Gulfport CrossFit, Mississippi Barbell strives for excellence and innovation while safely and effectively developing athletes of all ages, abilities, and backgrounds. In the last 5 years their expert coaching staff, Amber Sheppard and Tyler Smith, have become the highest ranked weightlifting coaches in the state. Together they developed and brought the first Mississippi teams to all major National weightlifting championships. They have been sought out for seminars, coaching certifications, and athlete development by coaches, schools, and universities across the Region. Headquartered in Jackson, Mississippi, Mississippi Barbell works with Youth (aged 6 and up), Junior, Senior, Masters (35 and up), and special populations. Now Mississippi Barbell is expanding to the Mississippi Gulf Coast and will be working out of Gulfport CrossFit. Led by Amber Sheppard, she will be bringing her 17 years of competitive experience to the area for Olympic weightlifting and powerlifting. Having interned and worked with Danny Camargo, Justin Thacker, Gayle Hatch, and Matt Bruce, Coach Sheppard knows and understands athletes, how to coach them, and what they need in their programming to excel to the next level. Join Coach Sheppard on site Monday and Wednesdays 5:00 -7:30 pm and Saturdays 9:00 am until to develop your technique, improve your sports performance, and get expert coaching right in your backyard. You will have full access to our weightlifting area in Gulfport CrossFit at any time their group classes are occurring. Can’t make it in? Sign up for personalized remote programming with the Mississippi Barbell team and train at your own pace and at the facility of your choosing. Our services are available to all athletes and coaches regardless of gym affiliation. · Current GPX Members: $59 unlimited access. Family discounts available. As a parent myself I know you guys come in day after day busting your tails so you can live a long and healthy life alongside your kids. You work hard to set a good example for them so what better way to share your day then to have them join you at Gulfport CrossFit! Our newest program, Kids’ Fit, is now up and running Monday and Wednesdays 4:15-5:00 pm. We will have make up classes by appointment only on Fridays and Saturdays dependent on coach availability. We are fortunate to have Coach Sheppard with Mississippi Barbell at the helm of Kid’s Fit. She has worked with athletes ages 6 and up (and those with disabilities) for over a decade. 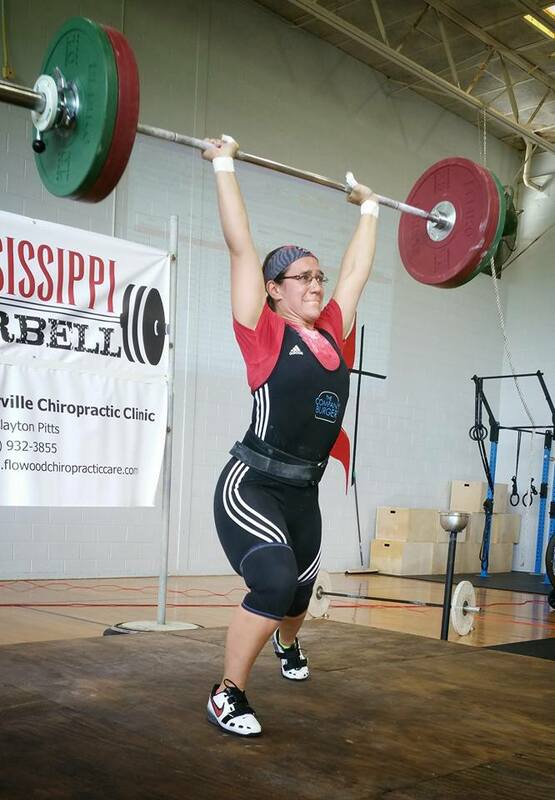 In addition to running Mississippi Barbell for the last five years, she has been a competitive strength athlete for 17 and coordinates and coaches youth Athlete Development Camps for USA Weightlifting in the SouthEast Region. Not only will your kids learn how to exercise, weightlift, and move properly with our expert coaching staff, but they will also be doing so in a fun and safe environment. If you have any questions please don’t hesitate to reach out to us at GPXcoach@hotmail.com or msweightliftingclub@gmail.com. We look forward to seeing you in the gym! We will be hosting three (3) olympic weightlifting meets this year. While we do not have registration up for the events at this time, we did want the community made aware of them in an effort for those interested to start their competition prep cycles and to plan accordingly. Please note ages 6 and up are welcome to compete at any USAW meet listed below. However they MUST have experience with the lifts before entering. If your child needs help with the lifts, please email us and we can start working with them in our Youth Classes ASAP. Closed to two flights only and will be held in our Brandon, MS facility.. Anyone with a USAW membership can sign up regardless of affiliation or location. Steeply discounted registration fee as there will be no medals or shirts for this event. Partial view of our 8 platform olympic weightlifting facility in Brandon, Mississippi. Anyone with a USAW membership can sign up for this event regardless of state residency and affiliation. It will be held in Jackson, MS; venue TBD. We will continue to include the High School Power Clean division. A functional fitness division will not be included. However, singlets are NOT required for this event. Registration fees will include medals and shirts (if registered by a TBD date). Anyone can register for this event at Gulfport Crossfit regardless of affiliation or state residency. USAW division will require a membership but the functional fitness division will not. Singlets are not required. Registration fees will include medal and shirts (if registered by a TBD date). Participants at the 2016 USAW Sports Performance Course hosted by Mississippi Barbell. Exact dates will be released as we have them. If you'd like to be instructed by a specific instructor please list his or her name in the comments. We cannot guarantee he/she will be available but we will do our best to listen to your choices. Note: many clinics will be closed to only those coaches or athletes of a particular facility. If you wish for your facility to have a clinic then please reach out ASAP to reserve your date. Our calendar is filling up quickly. 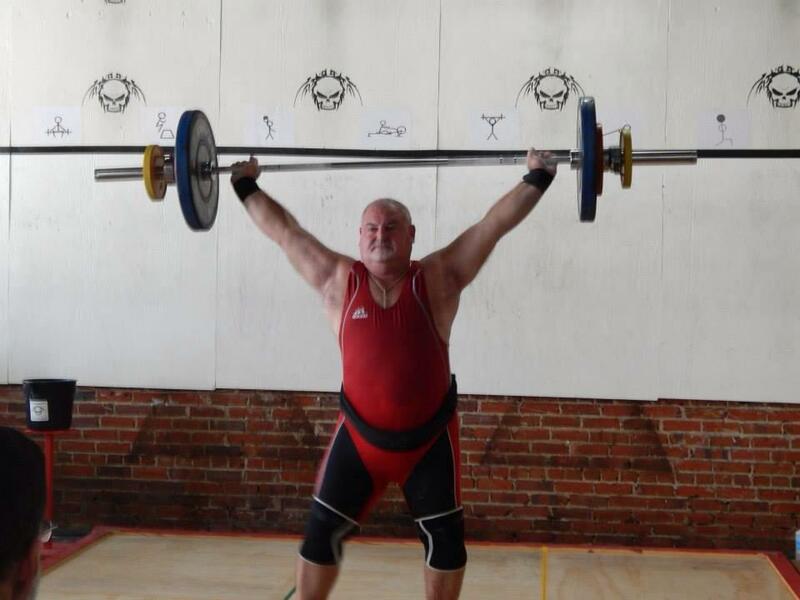 Creating the first USA Weightlifting club in Mississippi didn't happen overnight nor was it easy. Our long-time followers know our history but for those who are just finding us we've compiled a time line of Olympic weightlifting in Mississippi. We traveled to multiple local CrossFit gyms every Monday to help athletes at those gyms for free. For six months. Never asking for a dime. It was the first year we attended the Gayle Hatch Christmas Meet and we took 2nd with the little team that could. We only had male lifters at the event. We were approved for 501(c)(3) nonprofit status thanks to local CPA Derrick Garner. All funds were used to secure registration, lodging, and travel arrangements for our National athletes as funding allowed. Dex Hopkins gave us a home at Mississippi CrossFit. We first trained in a small two platform room before moving outside the walls on to three platforms. The second annual Mississippi State Weightlifting Championship was held and the venue moved to accommodate the increased participation. CrossFit 601 South was our home for a while; we had four platforms. Before that we were within CrossFit Fossil Fuel. 33 qualified for national events. 2 international powerlifting medalists. 2 CrossFit Games athletes. Every week we will publish a new blog on a variety of Olympic weightlifting topics. Contributors will include our coaches as well as Guest Posts. If there is something you want to know about please comment what it is here. Follow us on facebook and Instagram to stay up to date on our athletes' progress.